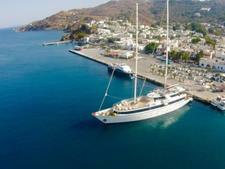 Offering what the company refers to as "a total yachting experience," Athens-based Variety Cruises was founded in 2006 with a merger of Zeus Tours and Yacht Cruises (a venerable Athens operator in business since 1949) and Hellas Yachts, established in 1978. Variety has always specialized in the niche market of small-ship Mediterranean cruising, with yachts ranging from four to 36 cabins. Recent years have seen the company expanding its itineraries to West Africa, the Seychelles and Central America (including a Panama Canal transit). Although many of the company's yachts lend themselves to private charter, Variety does operate set cruise schedules throughout the year. Boasting the ability to cruise into "off the beaten track" ports and locales, the line provides passengers with an intimate experience unattainable on a larger ship. Most yachts also have watersports platforms for use in secluded coves or otherwise safe environments while the yacht is at anchor. 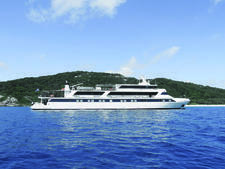 In early 2009, Variety Cruises entered into a partnership with IGLTA (International Gay and Lesbian Travel Association), offering charter cruises to its members. 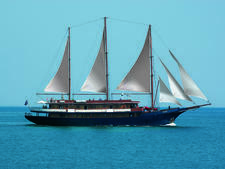 While sailing aboard the seven yachts under the Variety Cruises designation, passengers can expect attentive service, single-seating meals in elegant dining facilities, limited Internet service and swimming/sports platforms with snorkeling and kayaking equipment. Cabin appointments include flat-screen televisions, mini-fridges, individual climate control and contemporary bathrooms with shower. Deck space offers loungers in both sun and shade; there are bars and an indoor lounge for reading or relaxing. Passengers tend to be well-educated, well-traveled couples and singles, mostly over 55, looking for soft adventure and historical perspective. They eschew the mob-mentality of the larger lines and are seeking a more personal experience. The seven-night cruises also appeal to honeymooners and those who have not quite retired from the business world and for whom a shorter-than-usual cruise in Greece or Africa is ideal. 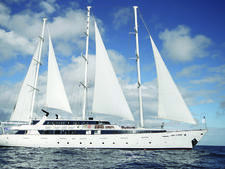 Variety Cruises: This is the designation for the larger yachts in the fleet, ranging from 22 to 36 cabins. Four of the ships, M/Y Voyager, M/Y Harmony V, M/Y Harmony G and M/Y Pegasus are motor yachts while S/C Panorama, S/C Panorama II and M/S Galileo are motor/sailing yachts. 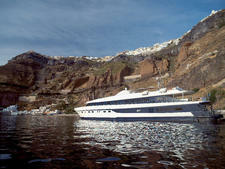 All of these yachts are distinguished by their more upscale private accommodation and spacious lounges. Variety Yachting: Four private yachts (including one sailing ship) accommodating from eight to 12 passengers are available for charter. Some offer high-end luxury, including Jacuzzi baths and walk-in wardrobes. The set schedules from April to October include seven-night cruises from Athens or Crete calling at standard cruise stops such as Mykonos and Santorini but adding stops in places like Monemvassia and Spetses; cruises departing Dubrovnik or Corfu, with stops in Korcula, Paxi and Corfu; and a south Italy/Malta trip departing Salerno, with calls in Capri, Malta and Licata. Cruises during the winter season include Central America, with a Panama Canal transit; rivers of West Africa, out of Banjul or Dakar; the Cabo Verde archipelago, departing Praia; and three- or four-night trips in the Seychelles, out of Baie St. Anne and Mahe.